FORT WORTH, Texas (April 5, 2014) – Chase Elliott became the second-youngest winner in NASCAR Nationwide Series history Friday night when he drove his No. 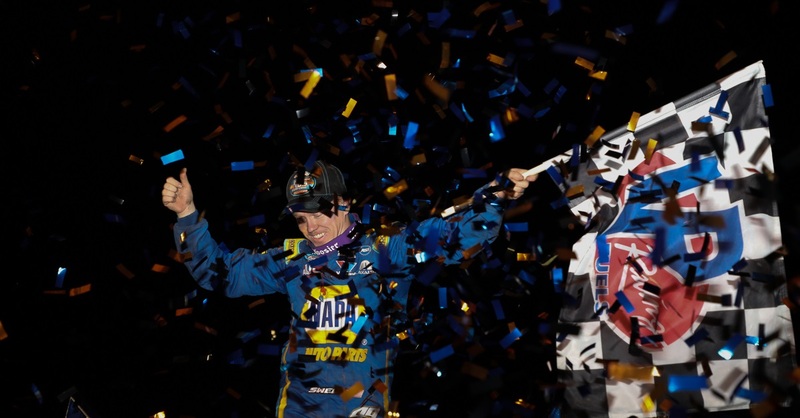 9 NAPA AUTO PARTS Chevrolet to victory in only his sixth race. 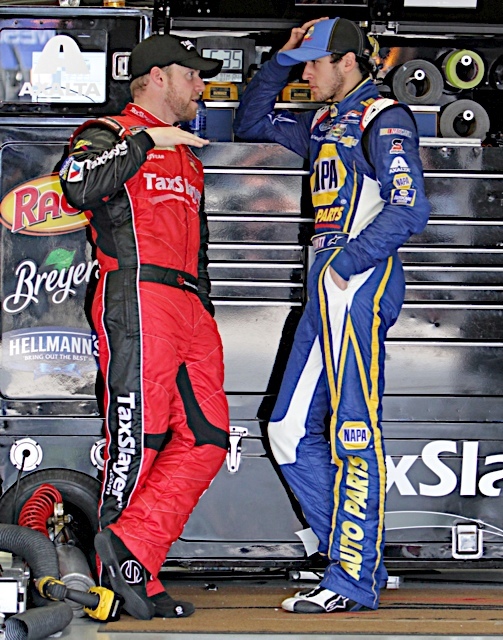 In turn he became the Nationwide points leader after six of 33 races and holds a slim a two-point advantage over JR Motorsports teammate Regan Smith. 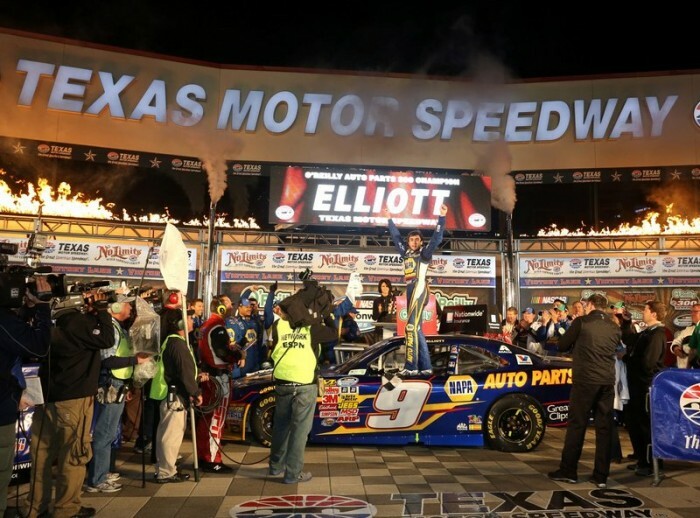 At the age of 18 years, four months, and seven days, Elliott’s meteoric rise to victory falls second only to Joey Logano, who won at Kentucky Speedway in 2008 at the age of 18 years and 21 days. Elliott’s victory in only his sixth race matches the number of starts it took to win in the NASCAR Camping World Series last season. 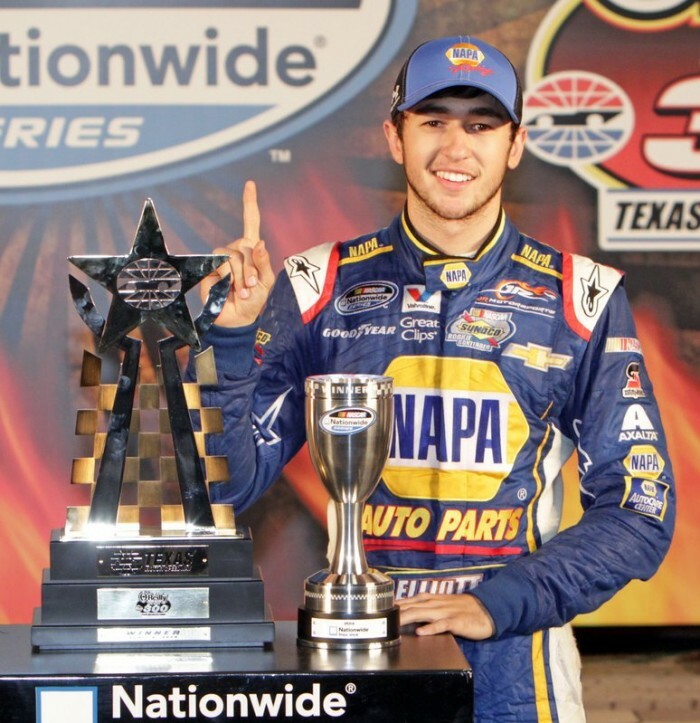 Unlike Logano in 2008, Elliott’s victory Friday night came against NASCAR Sprint Cup’s finest, including Kyle Busch, the all-time NNS wins leader with 64, and JR Motorsports teammates Dale Earnhardt Jr. and Kevin Harvick, both with two NNS championships each. Harvick dominated by leading 101 of 200 laps, but a power move by Elliott with 15 laps to go put the NAPA AUTO PARTS Chevrolet out front. 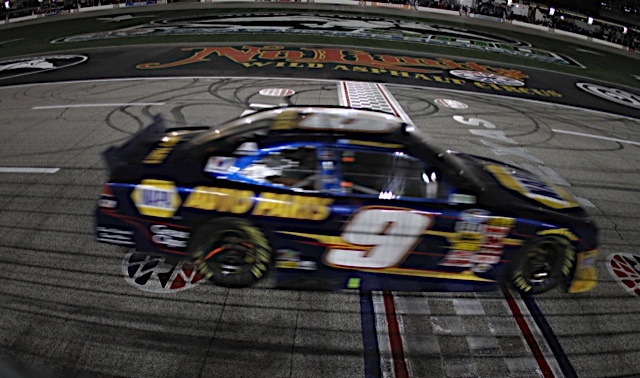 It was set up on a lap-178 restart with Elliott tucked behind Harvick’s No. 5. 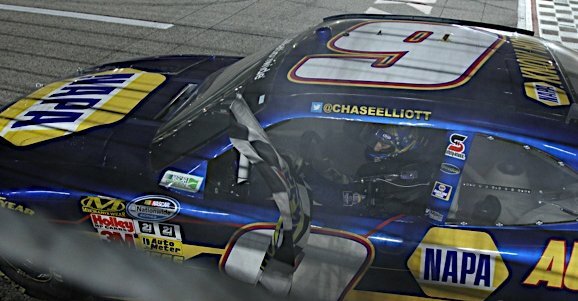 Better on short runs, Elliott stalked Harvick’s bumper for several circuits around the 1.5-mile speedway before bolting to the outside on lap 185 and completing a swift pass for the lead. 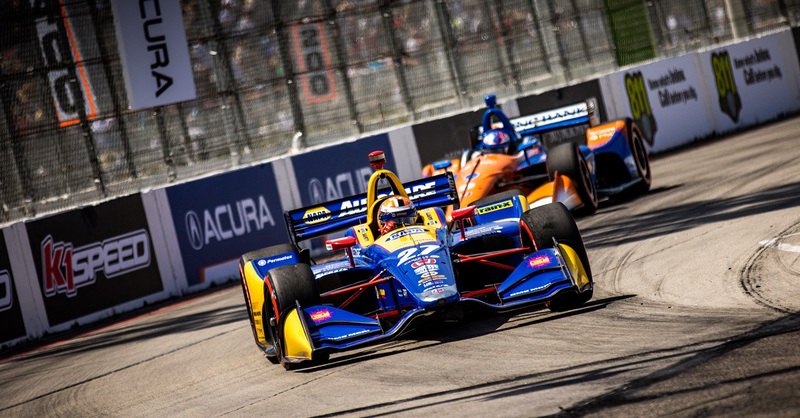 With “clean air” on the nose of his car – or the lack of turbulence from cars ahead hindering his overall speed – Elliott was able to stretch his advantage to 2.6 seconds by the time the checkered flag waved. Elliott led a career-best 38 laps. 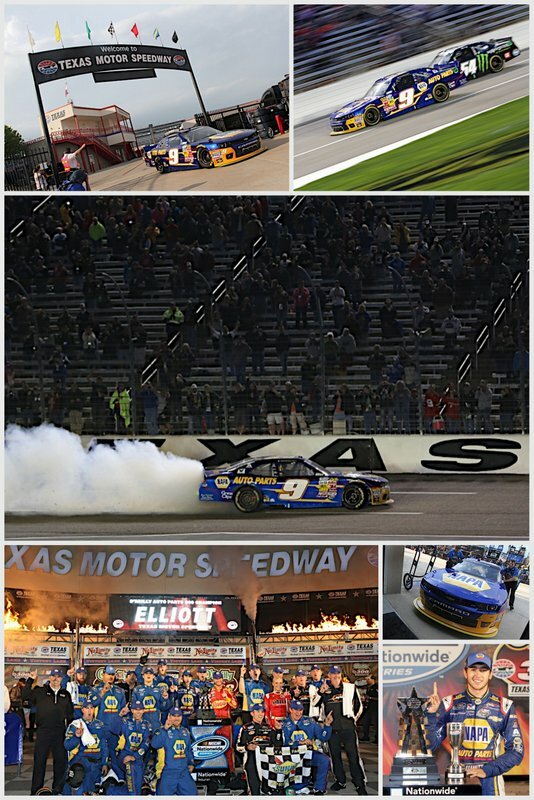 With the exception of Busch, it was Elliott’s own teammates that posed the biggest threat, as JRM cars led 154 of 200 laps Friday night. Busch finished second, Kyle Larson third, Harvick fourth and Earnhardt Jr. fifth. 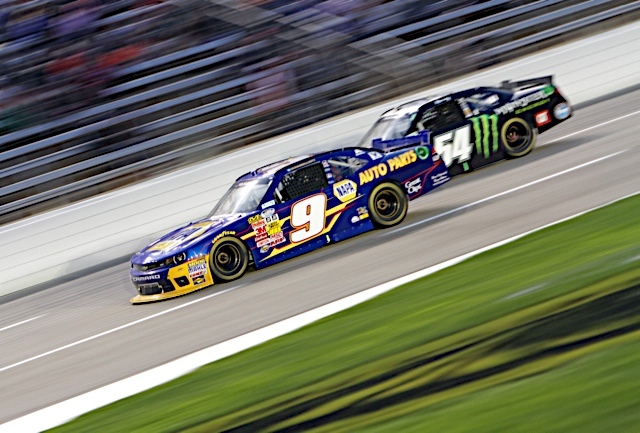 Smith placed seventh to put all four JRM entries among the top-seven finishers. Elliott’s win gives JR Motorsports two victories in six races this season, as Smith took the checkers in the season-opening race at Daytona. Elliott finished 15th that day and since has been on a tear with five consecutive top-10 finishes.